Replacing kettle heating elements (the grey/black curvy part in the picture above) doesn't normally need to be done. They are not like lightbulbs or other consumables that eventually 'wear out' or break down. Clean them after each use and they'll last forever. Since I started brewing electric in 2009 I find a quick wipe down with a blue non-scratching sponge works well. For a deep clean, once a year I'll throw a scoop of Oxiclean Free in the kettle, fill it half way with water, and set the temperature to 170F and run for an hour. This always gets the elements and everything else clean like new. That said, we've been selling stainless Camco heating elements made specifically for brewing for a year now so I thought I should probably swap mine out too (got the employee discount! ). Just like the popular Camco 02963 model I was using previously, the grey heating rods are still made of 804 stainless (a mix of the highest Grade Nickel and Chromium Incoloy) which is more corrosion resistant and about 8x more expensive to manufacture than standard (shiny) 304/316 stainless. The new element is still ULWD (ultra low watt density) at only 50W per square inch (7.8W per square cm) to avoid scorching and still UL listed. What's different however is that the base on the new elements is now stainless (not iron) so they will not rust if left in water for extended durations. This means you can fill your HLT the day before if you like. They will also not turn black and/or rust over time if a sacrificial anode is not used. (The less bits in the kettle, the better, as it simplifies cleaning and less chance of hitting something). More rusted than I thought! These were installed in 2009 and used about once a month for 7 years. 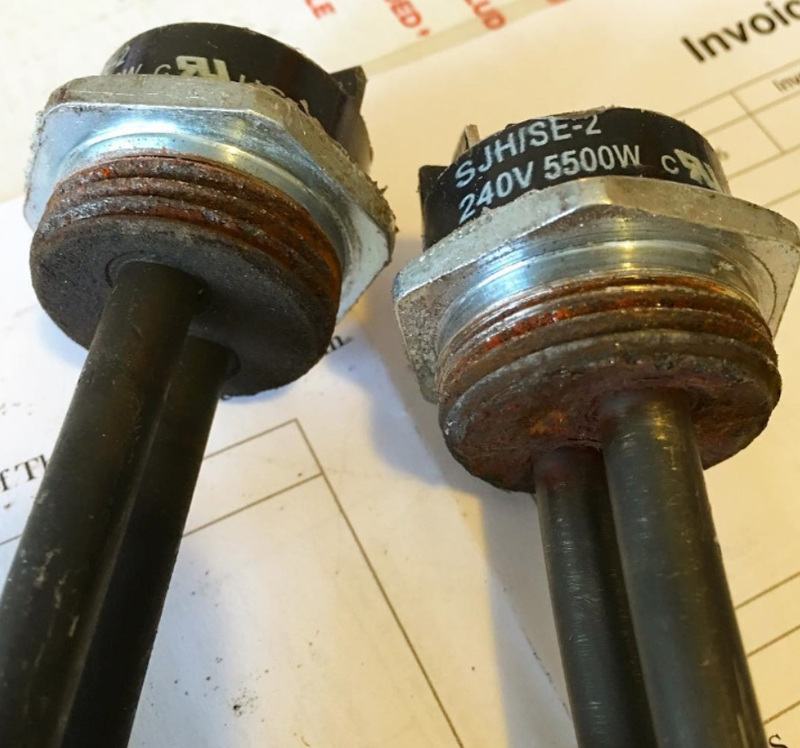 Because of the rust, you may find it difficult to remove the old heating elements so this is the biggest hint: Use the right tools for the job. I recommend using an adjustable wrench with 2" jaw on the inside and a Camco 9953 element socket on a 24" breaker bar with 1/2" drive on the outside. This made the job really simple for me despite the rust. You can see these tools in this picture below. The Camco 9953 element socket is better than any normal socket not only because it's the right socket for a water heater element nut (your average socket set will not have one this big anyway) but also because the depth is correct and the end of the socket is ground flat to better fit the thin element nut. Most sockets have bevelled edges which makes it hard to catch the edge of the thin element nut. Nothing else needs to be removed from the kettles. The HERMS coil stays in place. The food grade silicone that was previously added was removed with a small flat edge screwdriver (2 minutes) and then removal of the actual elements took 60 seconds. Not much torque was required at all given the long breaker bar. 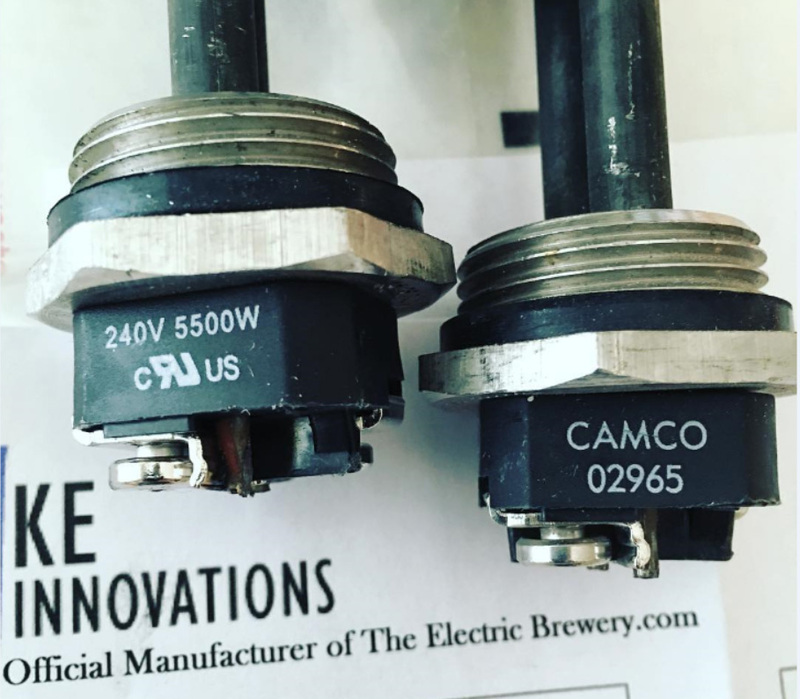 Replacing with the new Camco model 02965 was quick and simple. 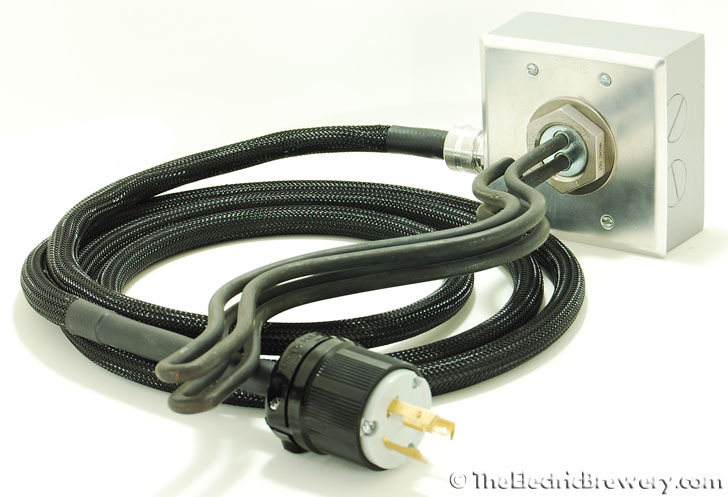 Simply follow the existing installation instructions to secure the new heating element. The longest part was waiting for the RTV108 silicone (a safety precaution, though many people skip this step) to cure overnight before re-attaching the wiring and covers. The wiring does not (technically) need to be removed either but made it simpler for me given how I had routed the wires in the enclosures. P.S. Best part was being able to add a breaker bar to my tools lineup. Never had an excuse to own one but now I have an easy way to tighten (or remove) the wheel nuts on my car. I finally got around to replacing my BK element with the SS ones. It was a huge pain. I use a inverted keg so I have less of an angle inside the kettle to get leverage. Also, in the hopes of keeping rust down I used switched to aluminum nuts a long time ago. The nuts were stuck on pretty good. I ended up having to use a torch to heat the nuts and they finally broke loose. I ordered a element socket for the next job as my vice grips were a pain. Just sharing my experience nothing else. Did you use tools similar to what I recommended above? 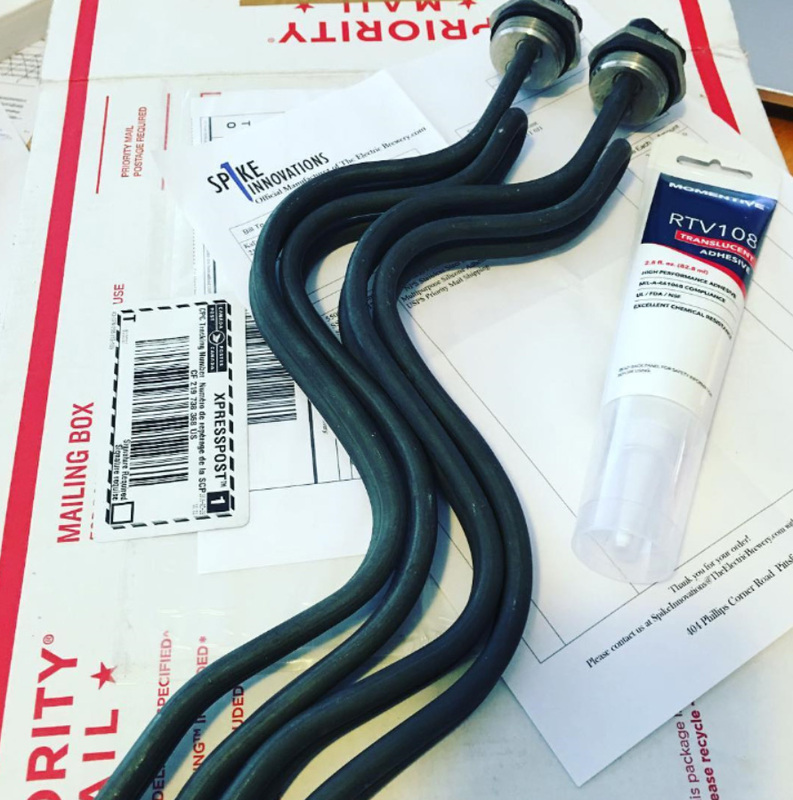 Mine came off really easily but then I had used a stainless nut (not aluminum) and it was with Blichmann kettles (not keggles). With two dissimilar metals (in both of our cases) there can be some corrosion which can make things difficult to remove. I don't have a element socket. I now have one on the way.I think the different metal caused the biggest issue. I replaced the aluminum nut with ss as well. FWIW, I until I got the better tools I can't get mine undone at all. There just wasn't enough leverage trying to use a regular element socket tool or a regular wrench on the outside. The element socket on the breaker bar is really what did it for me. After wrestling trying to get it off for a good 20 mins with a regular wrench using all the force I could, I ordered the element socket and breaker bar and it was literally a 2 second job with barely any force. It's amazing how much simpler it is with proper leverage (from the long breaker bar) and the right socket. I just ordered another SS element for my HLT. 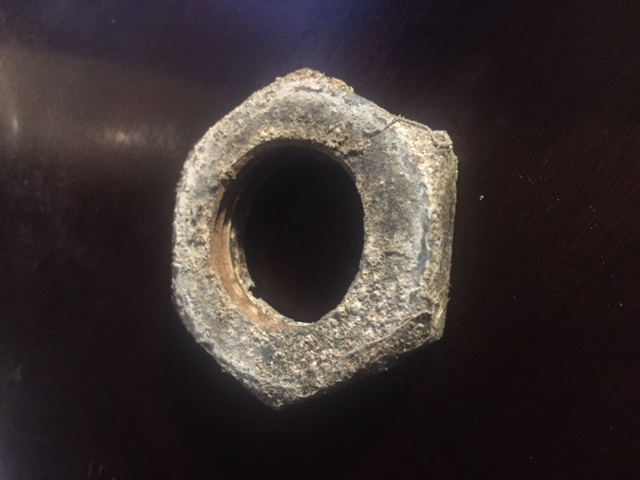 Here is what the aluminum nut looks like from the BK. I am replacing them with SS nuts as well. Wow! Is that after cleaning/scrubbing? Finally replaced my camcos, used for 5 years. I had welded the coupler on. They would not budge even standing and jumping on my socket wrench. Used an old trick from working with cars. Heat it up! Uses my plumbers torch and heated up the coupling. Came off easy as cutting hot butter. Just wanted to share in case someone else has the same issue. I replaced my element in the HLT with the SS element as well. My HLT element had the same amount of rust as Kal's picture. 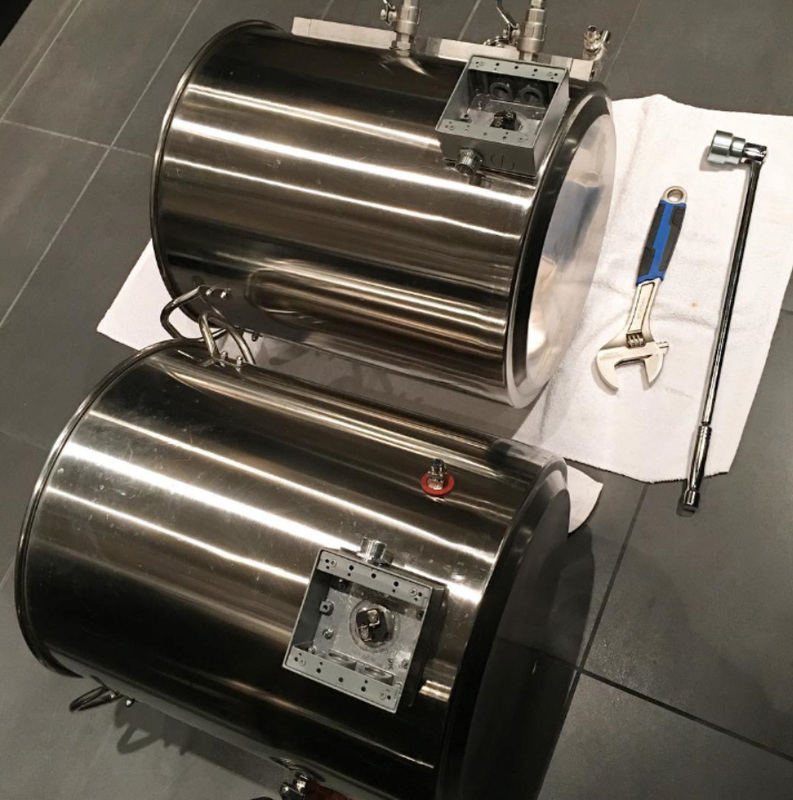 I used a large pipe wrench on the SS nut inside the kettle and the standard element socket tool with a large screwdriver inserted the perpendicular holes to steady it. It took a bit a muscle to break the nut free but one good "umph" with the pipe wrench and it loosened enough to use the element wrench to go the rest of the way. One tip is to loosen the wire connecting screws before installing the element. One of the screws was cranked down so tight the whole element started to twist in the direction I was turning the screw. I had to use the element wrench to steady the element to finally break the screw free. I was worried I would need to uninstall the element. I also replaced the silicon o-ring and it was flattened from the first install. Kal if you ever need an expert or scientific reasoning on corrosion topics, fill free to reach out. My day job is of a corrosion scientist in the energy industry. just curious - oil refining? My day job is of a corrosion scientist in the energy industry. No but am qualified to advise that industry on their internal and external conditions. I deal with natural gas infrastructure corrosion concerns, mainly in transmission, distribution, and storage. I have a slightly different set up using a tri-clamp and twist lock cord connection. This avoids threaded connectons, dissimilar metals and tools.